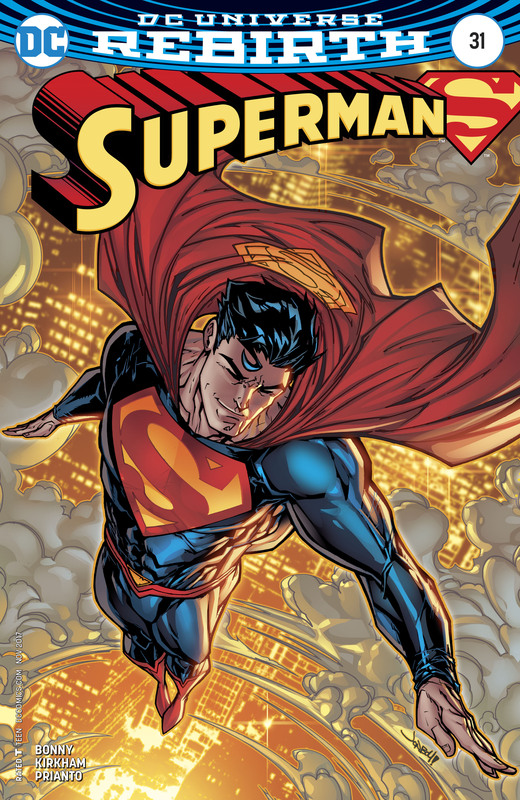 Superman saves a broken man from causing a terrible disaster and a suicide, his hands are quite full in Metropolis at the moment. While Clark is saving the day Lois stumbles upon a group of slaughtered soldiers and discovers the photograph of their killer... Deathstroke, The Terminator! Noting Perry & Clark's concerns, Lois is determined to interview the mysterious Deathstroke and reveal him as more than a myth. Clark gives Lois a small stun gun to protect herself and Lois heads off to the Czech Republic chasing down leads. Deathstroke, it seems, is very much in demand as Cestus and his group The Throng are also in pursuit. Lois of course gets her interview but Deathstroke may have stumbled onto information about Superman in the process. Days later as Lois publishes her story much to the praise of Perry & the Planet staff, the intrepid reporter discovers she is the target of a hit. Her terminator? Deathstroke! Story - 5: I must confess that when this story was dropped in last minute as a change to the expected story I was filled with a little trepidation. Over in Action we're in full swing with "The Oz Effect" so this is actually a nice change. I always like stories where Lois is more than a damsel in distress and her hunt for Deathstroke was brilliant. I wish we'd seen more of her detective work to get to the Czech Republic but nevertheless it was a unique and very interesting story. Did Lois inadvertently give Deathstroke information on Superman during her interview? I was taken aback by his question and what it might mean especially as after the news story broke he was hired to kill Lois. I really enjoyed this issue and if you want a little break from big sweeping story arcs this might be a nice palette cleanser. Art - 4: I thought the art really complimented the story, it was dark in all the right places and made me genuinely nervous for Lois. I think Tyler Kirkham deserves much praise for giving the script more layers to it and in doing so, escalating the threats and danger. 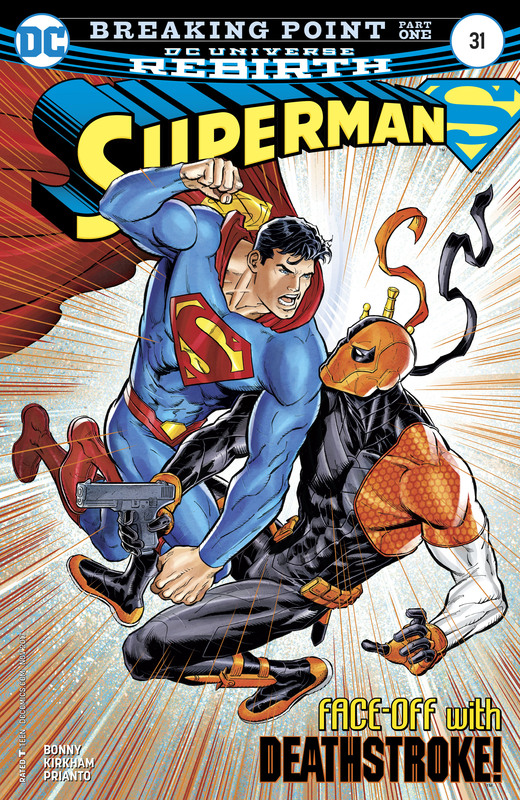 Cover Art - 4: I really like this cover, I'm not sure how Deathstroke would fare in hand to hand combat with Superman but this assures me it would be epic. A little similar to last issues Sinestro cover but I don't care I want to see more if it! Variant Cover Art - 5: A very cool variant! It has a very iconic feel to it. Visually it has all the impact Superman should have. I'm not familiar with Jonboy Meyers work but I'll definitely be looking out for it from now on!